Tesla is working on the electric Semi heavy tractor and it seems to be working. 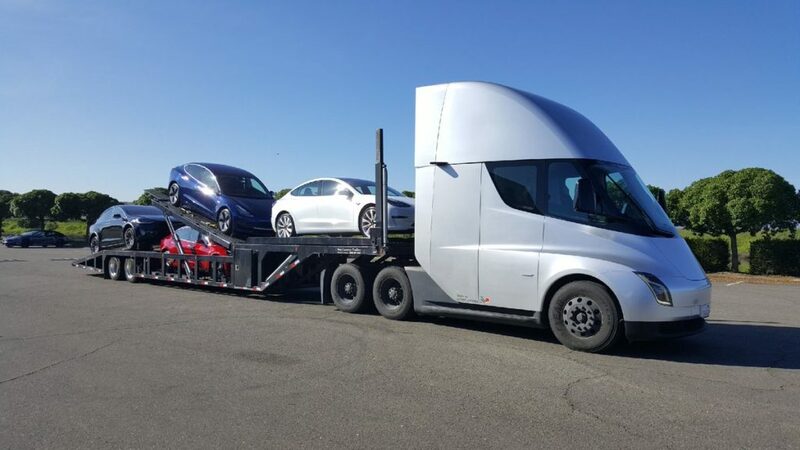 On the photo we see a Tesla Semi transporting Tesla passenger cars. This is off course a test truck of the company but the idea is to bring this truck to the market. We have one question for Tesla: Your passenger cars look realy cool, why design such a silly looking truck?